Not everybody can afford or simply want to buy an enormous house or apartment. However, there is no saying that you cannot use some tricks to make your room/s appear bigger. Moreover, many of them won’t require assistance of professional home remodeling contractors. For starters, think of your choice of colors. 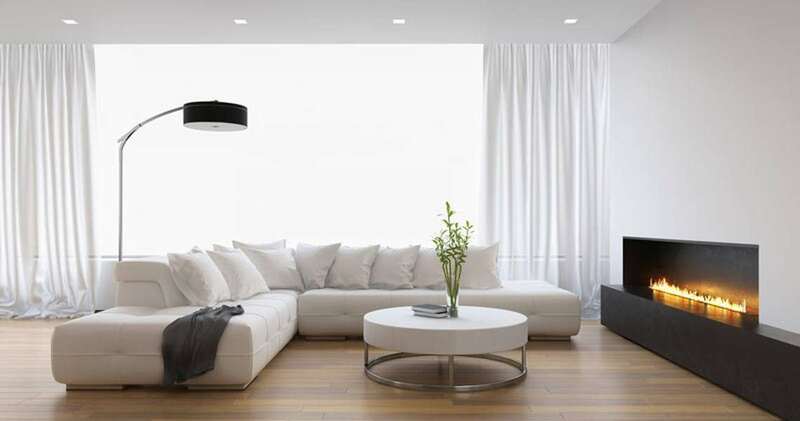 White is always the way to go but if you are worried that your place ends up feeling sterile and hospital like, there are other hues that will do the trick. Actually any light, neutral or cold color would work. Use such palette for walls, furniture, fabrics and even floors. Actually while choosing bits and pieces that will adorn your place, you may want some of them to be the exact shade as paint or wallpaper. Sounds strange but it results in furniture blending with walls and (the same as with the choice of wall colors) making the room look bigger. Keep in mind though that you may waste all of your furniture blending efforts if you choose pieces that are either very elaborate or plain but in ample amount. Here actually less and simple even if big is the best way to go. While we are at furniture, instead of deciding on appropriate color, you can always opt for see-through pieces. Chairs, tables, shelves or consoles manufactured from glass or lucite will make a great job of fooling your eyes into believing that they take less room than in reality. Another way of making your place look bigger is less about visual tricks and more about effective use of available space. Owner of micro apartments probably already know that I have smart storage solutions on my mind. Ottomans and tables with hidden compartments but also floor-to-ceiling bookcases can go a long way in providing a place for your possession and keeping clutter at bay.